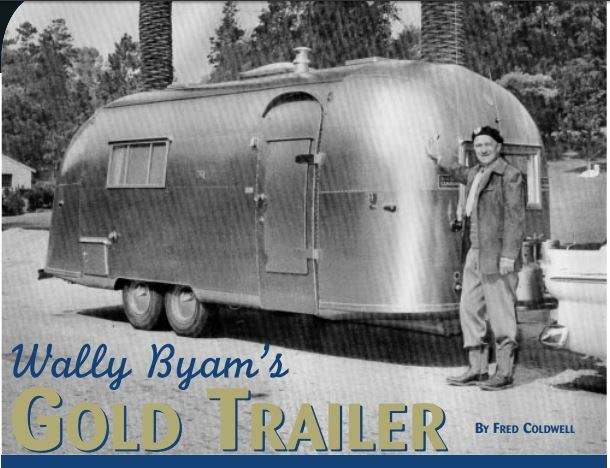 In 1956 Wally Byam, the inventor of the Airstream trailer, collaborated on a trailer design with his wife, Stella. 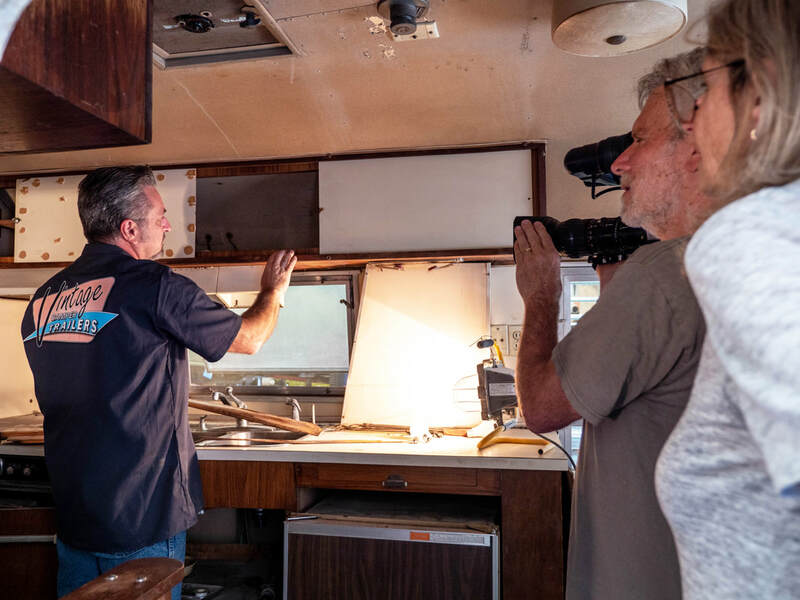 The floorplan that they came up with was christened “Stella’s Dream Trailer.” “Stella’s Dream Trailer” went into production during the first quarter of 1957. 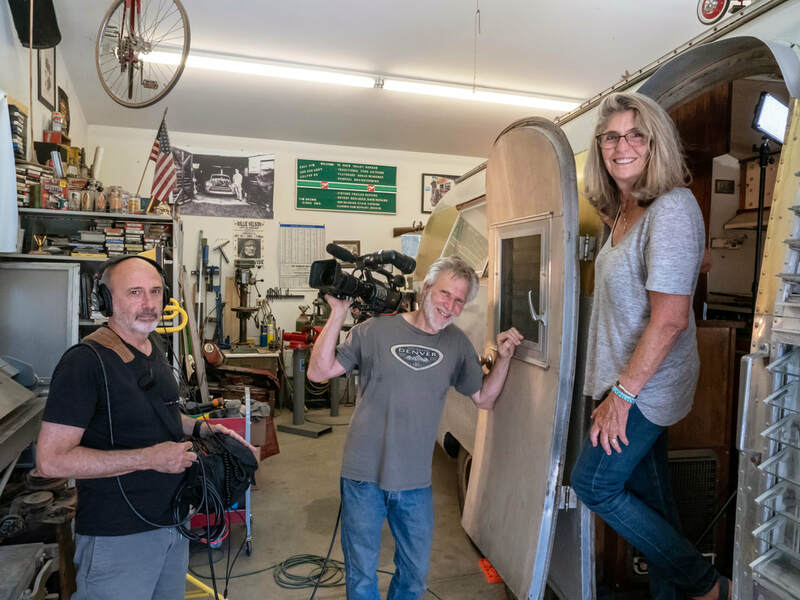 When Stella’s Airstream came off the production line at the Jackson Center, Ohio factory it was far more than a typical Airstream. It was clad in beautiful gold anodized aluminum. 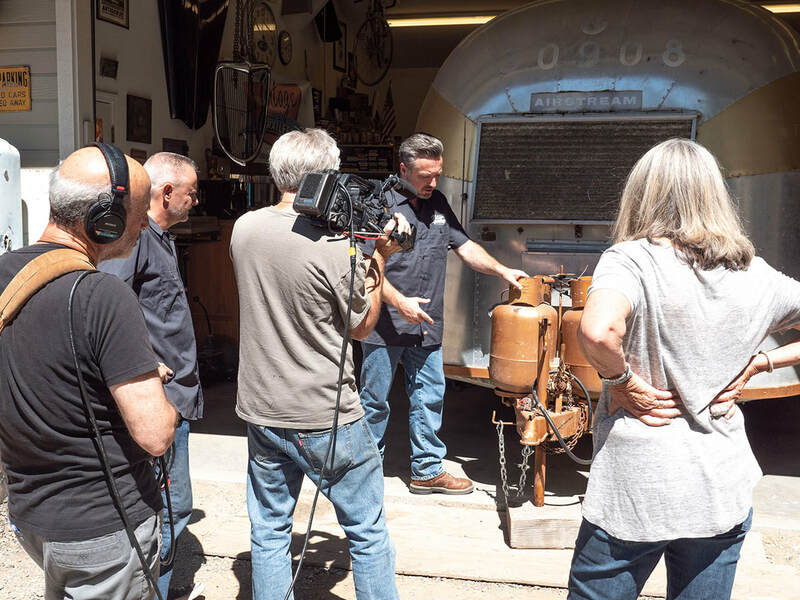 It will be forever known as, “Stella’s Gold Airstream.” That trailer is now on display at the factory where it was built. 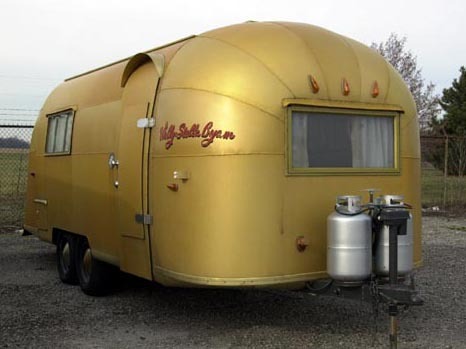 Until now this was thought to be the only “gold” Airstream in existence. In the Summer of 2017 I was contacted by what I thought was a misinformed individual selling an Airstream with a gold stripe. When I could not convince him that there was no such model of Airstream he provided me with the serial number to the coach. With a little research we discovered that we had found the only other “gold” Airstream that had been long lost and forgotten. The trailer was special ordered from the factory by the President of Airstream in 1961. His name was Art Costello. 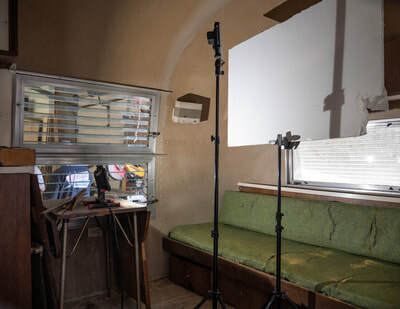 Click here for more of what is known about the trailers history and the "before pictures. 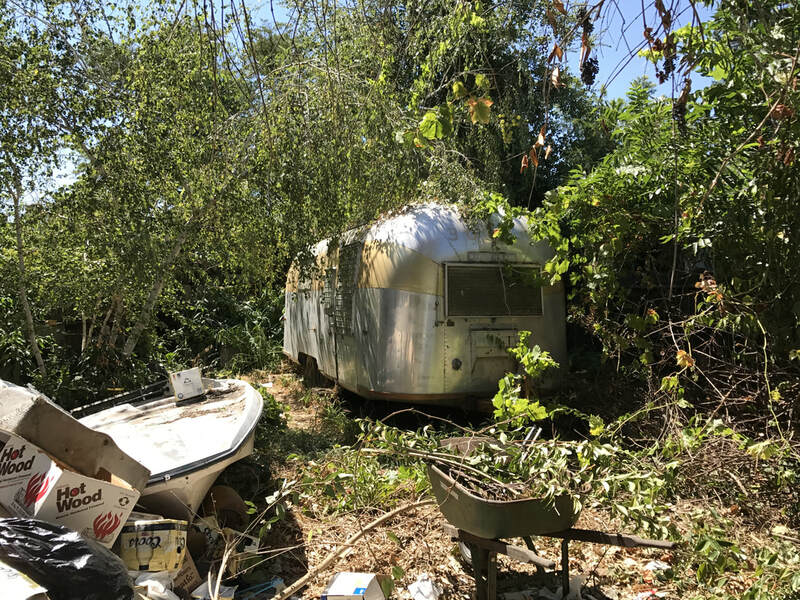 The "Other Gold Airstream" as found. Most of the restoration will be inside. 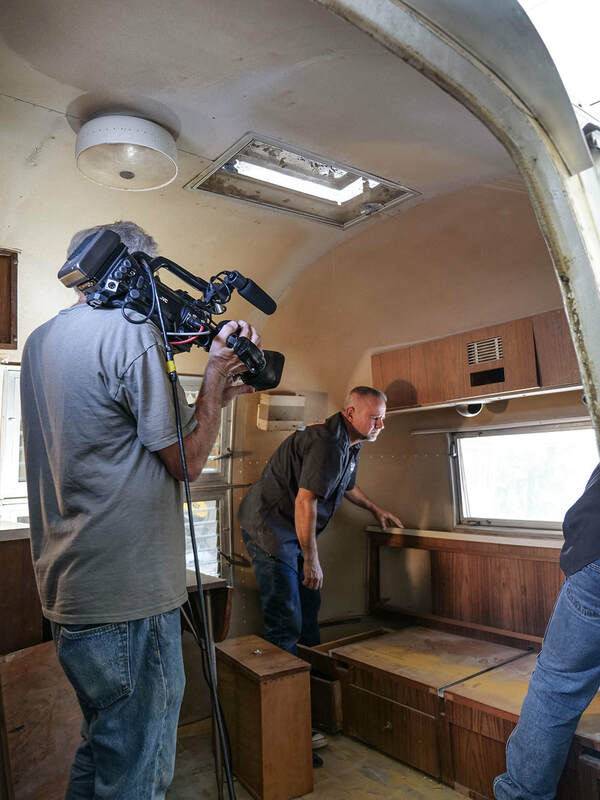 The forgotten gold Airstream is receiving a complete restoration. It is being restored as it would have looked in the 1960's. 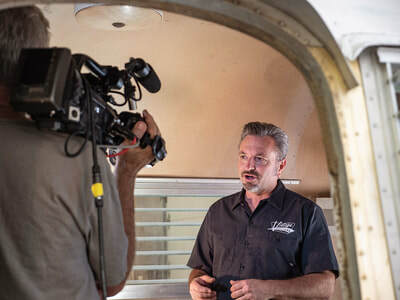 In June/July 2019 we will travel across the country in the Airstream to the Jackson Center, Ohio Airstream factory. 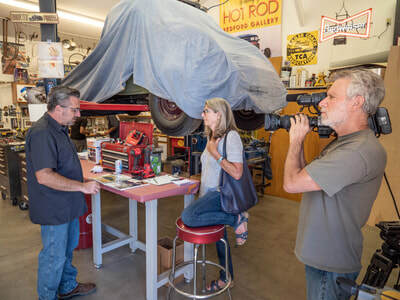 Our media tour of the journey to Ohio and other destinations across the Midwest can be followed on our social media sites​ or you can join us camping or say hello at one of the events along the way. 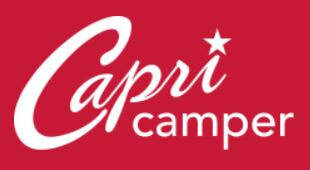 The trailer will also be featured in the Vintage Camper Trailers magazine and others. 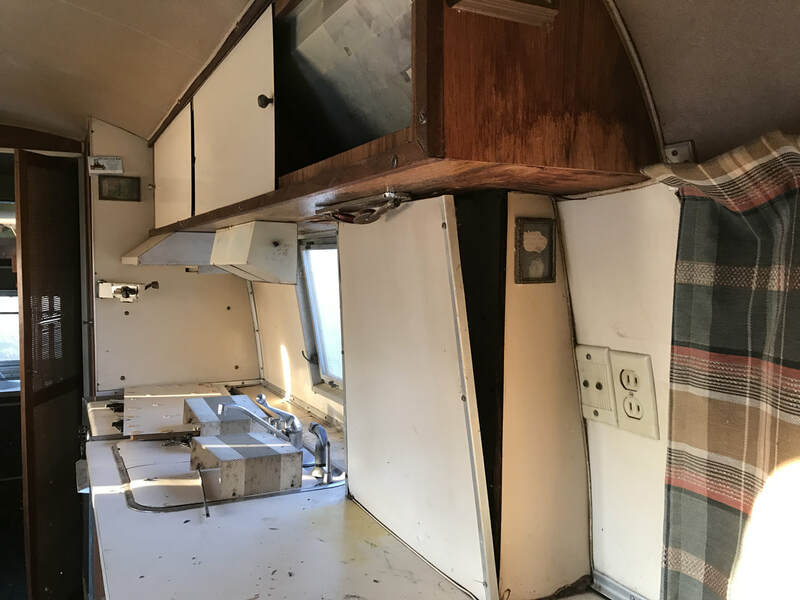 Restoration by Paul Lacitinola (owner) with lots of help from Avalon RV and Tim Brown. June 11th through July 18th we will be traveling across the USA showing the Golden Caravan Airstream, signing books and seeing the Midwest. Hollister, California. Rockabilly Rally. June 8, 2019 (10a to 2p) Come camp with us! ​Minden, Nebraska. Pioneer Village. June 14-16, 2019 Make your reservations to camp with us. Clear Lake, Minnesota. Minnesota Airstream Park. July 5-6 2019 Make your reservations to camp with us. Gillette, Wyoming. Cam-Plex Event Center. July 11-14, 2019 Make your reservations to camp with us. Reno, Nevada. 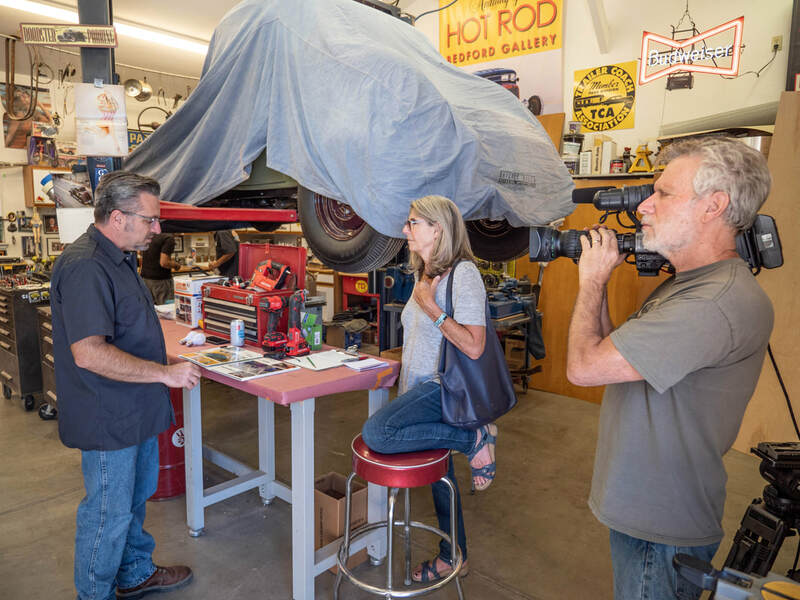 San Rafael Regional Park, Hot August Nights Trailer Revival. August 9-10, 2019 Come camp with us.